Zoned Commercial Highway Interchange. 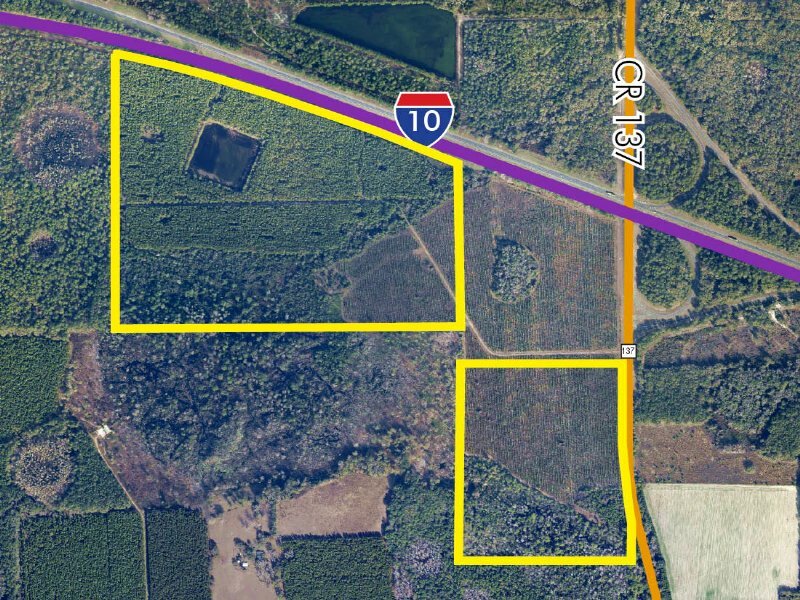 Property is at the SW corner of I-10 and CR 137 interchange which is the first interchange west of I-75 and I-10. The property has great accessibility to Lake City and Live Oak.